Captain Kenneth Lai first joined SIA in 1977 as a cadet. He started active Union work as an FO in 1985. He has flown the B747s, B737-100/200 A300B4s, A310s, B777s and currently the B787-10 as an Instructor Pilot. As a passionate and experienced unionist for decades, he is seen as a balanced union leader with unwavering conviction and a founding member of ALPA-S MBO. Under his leadership, ALPA-S is a consultative and inclusive Union for all members. His personal motto: Subservient Leadership for Unity, United we Stand Divided we Fall. Year Join SIA: 2002 Current Rank: CAPT A330 Type of A/C: B777, A380, A330Experience ALPA-SHotel Chairman 2012 – 2015VPI 2017 May to dateCurrently on the A330, Capt Sham is a straight shooter and a tough negotiator. He takes care of day to day industrial issues and keeps the management on their toes. Capt Hari Ram, has been a passionate aviator since a child, dragging his family to the airport to watch planes since his youth. He read Engineering locally and graduated in 2002. SIA granted him a chance to pursue his passion in 2003. Initially, he started on the B777 and then the A380, with a period in Tiger flying the A320. Currently a commander on the A330. His first stint with as an Exco member was in 2012. Currently he serves as VPT, actively involved in FDAP, FRMS, SAOC/CRST, CAAS matters, and liaising with several international parties on technical issues. SFO Terence is currently doing command upgrade on the A350 and will be taking leave from his position as Industrial Secretary. He has served as IFALPA Director between 2013-2015, in the preceding EXCO term. Previously on the Boeing B777 fleet as a Senior First Officer for 5 1/2 years, as well as Airbus A380 fleet since August 2011. Currently a Trustee of The ALPA-S MBO. As the IFALPA Director, Kelvin is the main point of contact and liaison between IFALPA and ALPA-S, facilitating information and collaboration between the Federation and the Association and its members. One of the main projects currently underway is the IFALPA 2020 Conference, which will be held in Singapore. Kelvin is also a member of the IFALPA Human Performance Committee, focusing on Fatigue Management and Medical issues. He is a part of the Company’s tripartite Fatigue Review Group. He is currently flies the A350. SFO James joined SIA in April 2005 as an ab-inito cadet pilot and flown the 777, 380, 330 and now currently 350. He is currrently holding the position of the SIA branch secretary. Captain Jeffery Ang joined SIA in Sept 1999 after serving the nation for slightly over 12 years in the Republic of Singapore Air Force. He attained his command on the B777 aircraft in May 2007 and had spent a few years as an instructor on the fleet before stepping down in Dec 2011 to pursue his degree in Bachelor of Aviation Management. He possesses a strong vision for ALPA-S and SQ Branch to effectively transform collectively with SIA in this rapidly evolving and highly competitive aviation industry, to remain as the highly respected and reputable airlines in the global aviation industry. SFO Eric joined the company in 2004 and became first officer in 2007. Rated on B777, A330 and now A350. First term in the ALPA-S council, but definitely not a newbie in grassroots or union work. Newly minted as an Industrial Secretary, he will be working closely with VP Industrial to ensure that the welfare of the pilots are not compromised while the company transforms to maintain as an industry leader. Captain Chua Kah Hwee joined the Silkair in 2004 and command on the 320 fleet in Dec 2012. he was on the B737 fleet in 2015. He was appointed as an LIP on the A320 fleet in Feb 2016, and has just been recently selected for IP training. He holds a Bachelor’s degree in Electrical Engineering from NUS and a Master’s degree in Industrial Engineering from NTU. Currently serving as the Chairman in the Silkair Branch Committee. This is his 4th term in the Branch and 3rd term in the EXCO. He and his team are looking forward to working with their SQ Branch counterparts for the upcoming merger of SIA and Silkair, as well as to best serve the interest of the MI pilots and the Association. Capt Yunus is currently on the A380 Fleet. He was inducted into the council during the mid-term of the previous council and hope to provide some continuity with this esteem present council. The Branch is reorganisation to mirror the transformation by the company. Fleet representatives once established will provide multi points of contact between members and Fleet. He is counting on members to support this initiative to elevate the relevance of ALPA-S to shadow the role of Fleet leaders. He will concurrently serving as A380 fleet representative. Captain Edmund Seow joined SilkAir in Sept 2011, after serving 16 years in the Republic of Singapore Air Force. He attained his command on the A320 aircraft in Jun 2015 and was appointed as an LIP on the fleet in Jul 2017. Currently serving as an LIP on the B737, having moved from the A320 fleet in Apr 2018. 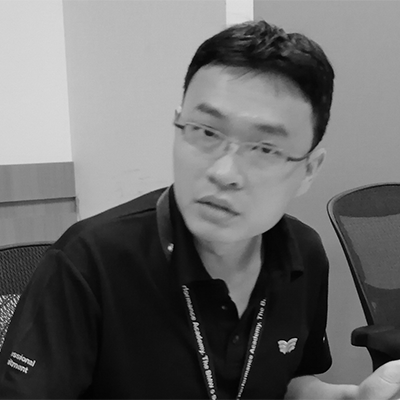 In running for the recent MI Branch elections, he envisioned a need for change – improving communications among members and to improve work-life balance for SilkAir pilots. Additionally, with the merger announcement, he feels that there are bigger roles that SilkAir pilots can play to help integrate SilkAir into SI. David Lim is a First Officer on the SilkAir Airbus A320 fleet since Feb 2015. He is passionate about serving the pilot community through his work with ALPA-S. For 18 years, David flew several helicopters with the Republic of Singapore Air Force (RSAF) including the UH-1H and the AH-64D Apache. He held several command and staff appointments including his most memorable appointment as Commanding Officer, 120 Squadron. He retired from the RSAF in 2014 as a Lieutenant-Colonel. David graduated with a Bachelor degree in Aerospace Engineering from the University of Illinois in Urbana-Champaign (UIUC) in 1999 and a Masters of Aeronautical Science from Embry-Riddle Aeronautical University (ERAU) in 2015. He is currently embarking on his PhD in Aviation. His research interests include fatigue management and aviation safety. Capt Caleb Kan joined the Company in 2008. First Officer on the Airbus 320 fleet in 2011 and command on the Boeing 737 fleet in 2017. he holds a Bachelor of Laws from the National University of Singapore and was called to the Singapore Bar in 2007. Currently serving as Branch Secretary in the SilkAir Branch. This is his third term in the Branch. He is looking forward to the upcoming merger between Singapore Airlines and SilkAir, and will continue working with the rest of the team to ensure that the interests of the SilkAir pilots are taken care of. 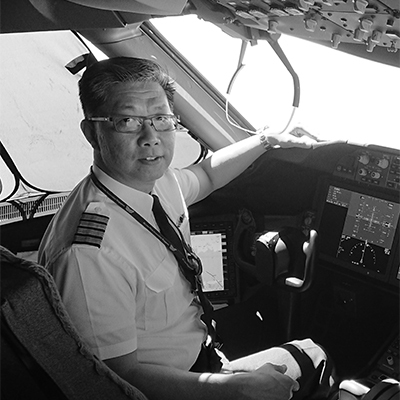 Capt Yang is currently on the B777 fleet and he have been a good samaritan for many years. Under his charge, ALPA-S Pilot Community Connection comprises of Home Nursing Foundation, Sunbeam Place, Children Cancer Foundation, ALPA-S Airplane Charity Projects. Overseas projects include Myanmar Fullmoon Children’s Home, Cambodia – Slum School, Nepal Earth Quake, Philippines – Typhoon Haiyan. Capt Vasdev has joined SQ in 1994 and has flown 744, 777 and 330. He has been a Hotel Surveyor previously and now actively handling all crew hotel accomodation and welfare matters. SFO Gary joined SIA in April 2004 as an ab-inito cadet pilot and has flown the 777, 380, 330 and now currently 350. He had served as SIA branch secretary in the previous council and is now currently holding the position of both SQ Branch Secretary and Hotel Vice Chairman. Capt Sunny is on the B777 and previously on A380. He is the chief editor of ALPA-S, bringing the latest and most up to date news to members via newsletter, social messaging chats and other means of infocomm technology. His main objective: Constantly engages the members to maintain a high level of participation in ALPA-S activities and initiatives. SFO Rusdy is on the B777 and he is Tech Guy the in Alpa-s. Making sure ALPA-S website and app is running in Tip-top condition. His objectivce is to tranform ALPA-S operations digitally. He ensure all the operations run smoothly. Currently IT committee is constantly doing R & D to create better platform for the members. FO Benjamin Tan is currently on the B777. He has always believed in building and using tech to enhance user engagement levels in a company. Now as part of team Infocomm, he wants to do just that. Capt Audi started his career on the 744 before moving on to the A380 and eventually the A330/350 for command. He have been a trustee of the Union for the past 8 years. Over this time, together with the previous set of trustees, he have protected and grown the reserves in order to provide the Union with a sound financial footing for whatever lies ahead.At present time, his role is mainly to do with the on-going PSB negotiations while carrying out the trustee's role. Capt Mak currently flying the Airbus A350-900. He is also the EXCO representative on A350 issues. His flying career has spanned 38 years - 23 years in the RSAF and 15 years in SIA. He have flown trainers and fast jets in the military and now, wide-body jets in SIA. Ms Kitty joined ALPA-S in 2005. She has been managing the finances and accounts of the Association. Soft spoken lady and conversant in Chinese as well, she is more than happy to assist you when it comes to money matters. Ms Clarice joined ALPA-S in 2015 to manage our MBO matters. Please feel free to approach her regarding any MBO related matters and she will be more than willing to help. She also helps out with ALPA-S matters. Ms Jennifer joined ALPA-S in 2005. She is in charge of day to day office adminstration. Besides managing the various minutes and reports, she also maintains members' database. Jennifer will gladly assist you with enquiries pertaining to application to join as a member or any ALPA-S membership matters.